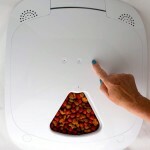 PetPal WiFi Automatic Dry Food Feeder Review - Is It Worth The Price? 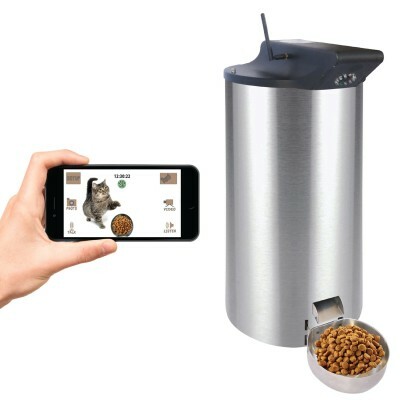 (4.9/5)PetPal Wifi automatic pet feeder allows you to feed your pet from anywhere with your Smartphone or Tablet, iOS or Android. 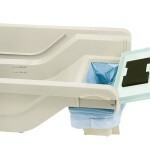 The unit is easy to assemble and disassemble which makes it easy to clean. The feeder’s simple design makes it easy to refill as well. PetPal consists of 4 main parts: The top, the hopper or food container, the body, and the bowl. The top part contains all the electronics, camera, speaker, microphone, motor and Wi-Fi electronics. 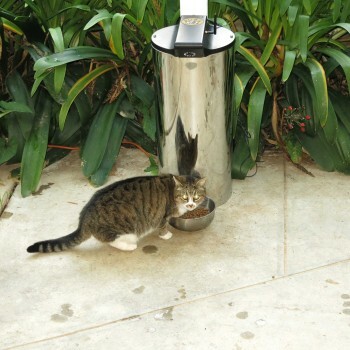 The hopper is a stainless steel tube that holds the food, the body is stainless steel as well that looks great and the bowl from where the pet eats. PetPal Wifi feeder allows you to program a feeding schedule up to 5 times a day. 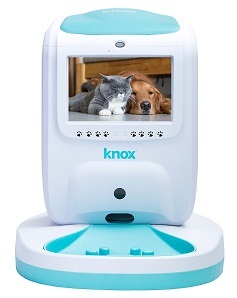 Additionally, you can feed your pet remotely by using an app on your Smartphone or tablet. 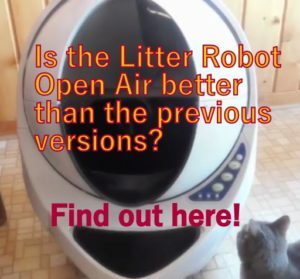 It connects to any Wi-Fi network so you can feed your pet remotely. 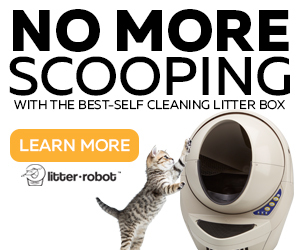 Petpal automatic feeder features a non-jamming technology that is found basically in its hopper. The hopper is where the food sits and consists of a stainless steel 9” x 11” tube and a stainless steel plate that screws up to push the food over the top. On the top of the hopper, there is an S-shaped stainless steel spinning piece to distribute the kibble. This mechanism is not an auger, adding a new (patent pending) system that avoids food from getting stuck, allowing a continuous food distribution. The top part of the feeder fits onto the stainless steel body smoothly and it gets secured with 2 pins. The power adapter plugs into an electrical outlet (120VAC to 240VAC), and the other end plugs into the back of the top part (12 V output). 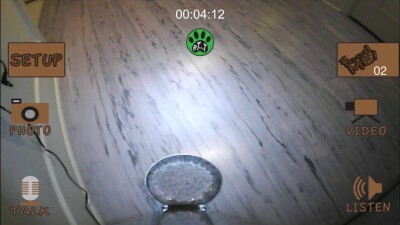 You can connect the feeder to the Wifi Network and interact with your pet through apps. 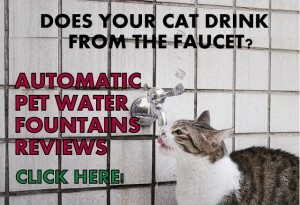 You can watch your cat eating, record a video or take a picture if you want. Also, you can talk to your pet so it does not feel alone or your pet can talk to you because the feeder features a microphone. You can program a feeding schedule up to 5 times within 24 hours that will repeat automatically. Also, you can push manual feed remotely through Apps from anywhere. If the internet service is out the feeder will still feed automatically according to the programming. Petpal operates independently from the network. 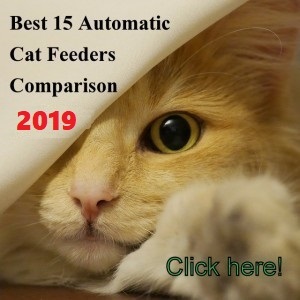 You need the connection to WiFi to access the feeder remotely and watch your cat, changing the feeding schedule or trigger a meal in real time, choosing the size of that meal if you want to and all this from wherever you are. If you don’t have internet the feeder will keep operating and the only way that your pet would starve if there is no electricity. Petpal also features a flash card slot that will retain the programming in case the power goes off for a short time or if you temporarily unplug the unit. 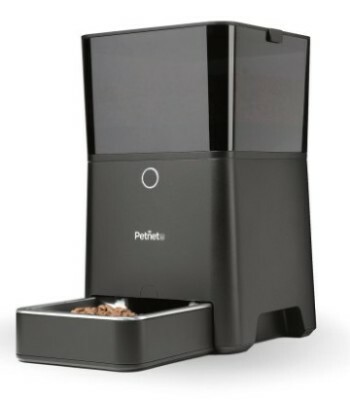 Petpal Wifi Automatic Pet Feeder is a well-designed unit with a sturdy construction made from thick stainless steel. 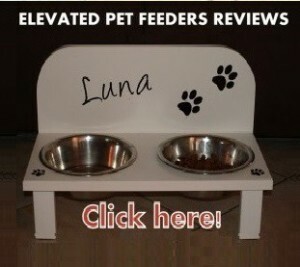 The feeder allows you to check on your pet when you are away on a trip, making sure he or she will be fed on time. Plus, you can talk to your cat while eating so it won’t feel alone which is the main concern when leaving the cat alone at home for some days. 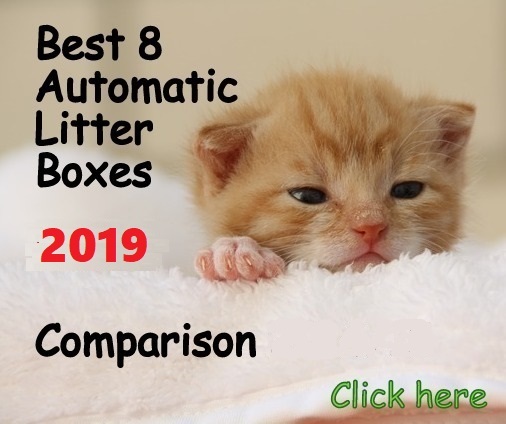 This is an excellent unit with a high price but if you are looking for a made-to-last device that gives you the option to remotely feed your cat and interact with it, with a reliable anti-jamming system. 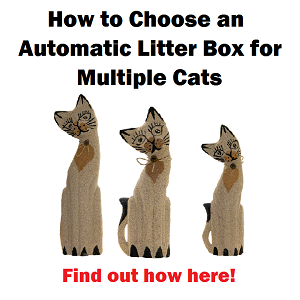 √ I recommend this automatic cat feeder if you have two or more cats if they can eat together. You feed your feline friend once or twice a day since the minimum portion is 1/4 cup (if the kibble is small you will have to feed your cat once a day). First, the unit is well made. Ours is located in our garage up at our vacation home. We have stray cats and raccoons that share the feeds, usage has been a bit more difficult than the designers have anticipated. The unit was initially knocked off the workbench. We had to screw the unit down. There are otherwise no places to screw the unit down, so you’ll have to get creative. Next, the food bowl itself was dislodged and knocked on the floor. A couple of plastic wall anchors installed in the food bowl “slots: has kept it in place. Next, there are too many “lights” around the camera eye. I covered about half of them with electrical tape, so now we can kinda see things remotely, though the view is now out of focus and blurry. The IOS app does not work through our VPN, through the Safari browser works fine through that same VPN. Not clear why. The food bowl is metal. The sounds of the feeding mechanism and food bowl make quite a racket, so that the cat usually runs outside when it triggers. Not clear if she is eating anything or if the strays are getting it all. A plastic food bowl that can’t be knocked off would be a big improvement. In addition, at least a few kibble bits always bounce out of the bowl during the feeding cycle and end up on the floor. Haven’t found a creative solution for this. The negatives. it’s big, noisy, expensive and scares the cat away each time it triggers. The positives. It does trigger reliably and holds a lot of food. Strays and raccoons do seem to like it. Hello Jim, I am sorry your experience has not been good with this automatic feeder. 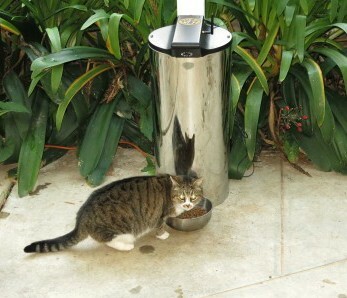 Exposing an auto feeder to stray cats and raccoons can be challenging for any device. Raccoons manage to remove pieces easily and the bowl is made to be easily removable. 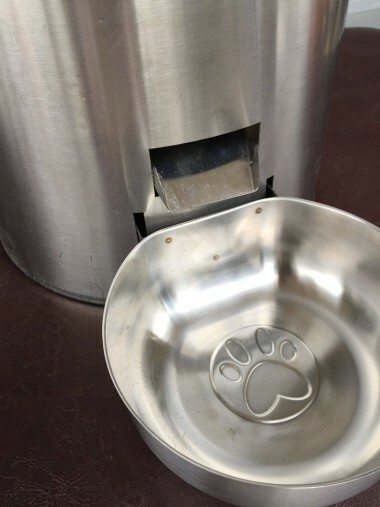 The stainless steel bowl is noisy when the kibble drop in it but you can replace this for a plastic tray with higher walls to prevent kibble spillage. Some cats, especially food driven cats, get used to noises better than others, knowing that food is being dispensed. Thanks for sharing your experience. Question…. if the internet/WiFi goes out temporarily and comes back on will the feeder reconnect automatically? Does it work with both 2.4 and 5 mega hertz internet? Hi Lisa, the unit won’t reconnect automatically when the internet goes out, but it’ll keep dispensing normally according to the programmed schedule. The current version will work best with a 2.4 GHz WiFi signal. The PetPal may not connect to the 5 GHz WiFi Signal.